With the joys of living with and caring for an animal, come additions to the monthly budget. Pet care, food choices, and entertainment are all decisions one must make when on a low or fixed income. There are several questions a prospective pet owner must ask themselves before deciding to adopt or purchase a pet. Budget pet care should be among the first considerations one makes when deciding what kind of pet is most appropriate for their lifestyle and living expenses. Some questions to consider are: What kind of pet fits best into the lifestyle of the prospective owner? How can a pet owner fulfill all of their new pet’s basic needs for survival (food, water, shelter, and companionship)? What are some low-expense options to best care for a pet on a budget? If one’s budget has changed, and they already have animals to care for, it is equally important to consider how to care for the animal even with these changes. Can you make payments to a local veterinarian? Are there local groups or organizations focused on animal care? Seek these out. Consider these questions, and write down a few more. 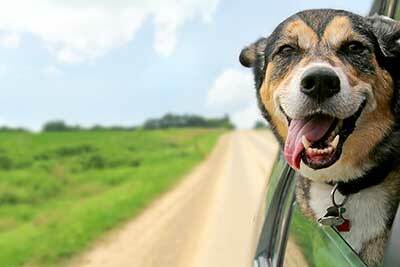 Consider doing extra research to find the best options for pet ownership and animal care. Knowledge is the most empowering factor here—having all the necessary information is vital to making strong and smart decisions for oneself and the animals in their lives. When deciding on what kind of pet to adopt or purchase, it is important to consider all kinds of pets and the expenses that might come up along with their care. Some animals come with more costs and considerations: Does this pet require a lot of expensive food? What sort of medical care may the et need in the future? What sort of toys and accessories does the pet need to live a happy and healthy life? With some larger pets, such as dogs and cats, there is an immediate increase in the amount of responsibilities one must include with the cost of purchase, adoption, or ownership. Just like a small child, some pets require constant supervision and care. Sometimes, dogs and cats need behavioral training. Consider the yearly cost of owning a specific type of animal. Some may require preventative treatments for heartworms, fleas, and ticks. Others may need several different shots for vaccination purposes. Pets that live both inside and outside the home are more likely to experience injury, infections, and infestations more than animals that live indoors. The cheapest pets to own are the ones that require little room and maintenance. Becoming the owner of a small, more affordable pet may act as a great launch point to owning a more complicated or expensive pet later, after seeing how a household and budget can take the responsibility of a smaller animal. Consider small tank aquarium pets, like a hermit crab, frog, or fish. These animals may require a light or small filter for their home. Purchasing environmental items, such as real or artificial plants, are great additions for their quality of life, as well as sealed accessories that provide a small place to hide. These small pets can add to one’s quality of life, providing relaxation and companionship for all, despite the size of their budget. Similarly, small caged pets such as hamsters, Guinea pigs, rats, and mice are another option for the budget-conscious pet owner. For costs, the biggest consideration is an appropriate cage with appropriate bedding (wood shavings, mulch, sawdust, or newspaper). Then, the pet owner needs to consider food and water, as well as chewing material for the health of their pets’ teeth, as well as toys (such as running balls, tubes, hamster wheels, etc). These smaller pets can provide a lot of love and care to their owner, and give younger pet lovers a great place to start in learning responsibility for other creatures. If small pets are not what a potential pet owner is searching for, then the next best option for budget pet care and ownership is to adopt an animal from a reputable animal shelter. Shelter pets come in every temperament, age, color, size, and breed. Shelter workers can tell a prospective pet owner everything they know about a specific animal and its needs. If cost is a factor, it may be important to know if a dog or cat has any medical conditions and their treatment history. Remember: purchasing a pet from a breeding mill may seem inexpensive compared to a shelter animal, but many times, these animals were born as profit-makers into cramped spaces. They may have spent too much time in a cage, and have health or behavioral issues. Unless you know the circumstances in which a bred animal was born and raised, consider checking with a veterinarian or animal medical professional before purchasing a pet from a third party. The cost of adopting a dog or cat from a rescue or animal shelter may seem expensive, but when the price is broken down compared to purchasing a dog or cat elsewhere, the overall cost is quite friendly to budget pet care, and inexpensive compared to a breeder or pill. To the animal whose life is saved from death or loneliness, this cost is priceless. Pet adoption costs are a reason some people give as to why they choose to not adopt. However, adoption costs are part of a process that drives down the cost of animals overall, and also works towards rescuing more animals. Pet adoption is a wonderful choice when considering how to purchase and care for an animal at the lowest cost. At many adoption centers, animals have been treated medically. At others, the cost of spaying or neutering and vaccination, and is included in the price of adoption. If the pet owner decides to adopt an older animal, many of the costs associated with training or behavioral care may also be negated. Adoptions and rescues are wonderful options to take an animal from a negative situation, and give them a better quality of life. To keep pet costs low, research the best prices around the area in which one lives: which stores sell cheap and quality food (consider farming supply stores)? Which vets take payments? Many families do similar research for themselves, but not their pets. Consider how a combination of research and coupons can help meet your pet’s needs on a budget. Using coupons to purchase pet supplies and medication can save a lot of money. Also, consider the loyalty programs at your local stores. Many people swipe a discount card to save additional percentages off individual items or total bills, meanwhile earning free perks. If a family already has a pet and is looking for the best options for budget pet care, keeping costs low is the first step. In order to keep one’s furry friend safe and healthy on a small budget, to keep overall costs low, do research on the best options for pet health and personal care to determine what’s best for the animal. Feed your pet high-protein, low-carb foods. Avoid feeding your pet table scraps. Keeping a healthy-sized pet can help prevent obesity related illnesses to a pet’s heart, lungs, kidneys, liver, and bone health. One of the most common ways to prevent illness is by placing one’s pets on proper heartworm, flea, and tick prevention medication. These preventative drugs are highly effective in preventing heartworm infection and disease related to infection from fleas, ticks, and mites. These are sold under a variety of brand names. Please check with a pet health professional or licensed veterinarian to help decide which option is appropriate for a specific pet or animal companion, based on their needs, size, and medical history. In many cases, owners think they’re saving money by not seeking appropriate medical appointments for their pets. Shop around your local area for the cheapest pet care options. One cheap option to provide pet health is to use an old toothbrush and brush your pet’s teeth on a monthly basis. Dental disease can lead to heart problems in the future. Remember, yearly check-ups should be just as vital for one’s pets as it is for oneself. Whether one has two legs or four legs, medical prevention is always cheaper than curing a diagnosed condition. Get all pets vaccinated as recommended by their vet or any local or state pet advocacy groups. Sometimes, even with all the best intentions, a household budget can change: additions to the family, changes in labor markets, and even job loss can all impact the level of care one gives to their pets and animals, as well as to themselves. No animal lover wants to see their pets suffer or go without. In these situations, there are options in which one could reach out for further help or care. If your pet needs budget medical treatment, there are still several options: One option is to negotiate a payment plan with your pet’s veterinarian. In most cases, a pet and owner with a strong relationship with their vet can get assistance in paying for bigger medical bills or vaccinations over an extended set period of time. However, note that veterinarians may not agree to such a plan. Another option is to offer to perform a service for your vet like cleaning, caretaking, or other work, on a case-by-case basis. Pet owners can also check out local veterinary schools for low-cost training clinics. It may not help in a current crisis, but pet owners can also consider purchasing pet health insurance for any future medical needs. Consider doing extra research to find the best options for you, whether you are currently a pet owner looking for care on a budget, or a new owner looking for advice on how to care for animals on the cheap. Ask lots of questions and look into all avenues for help. Knowledge is power! Know all the numbers in your budget, and work within what you can afford. Having the correct information is vital to any negotiations, whether that be for medical care or otherwise. Remember, living with an animal comes with additional purchases from medicine to food choice to housing, and many other considerations. Regardless of income, pets and animals provide loving companionship and a sense of security to their loving owners. Working within one’s budget and with a team of friends and the help of a local veterinarian, you, too, can keep and maintain a happy and healthy pet while on a tight budget.